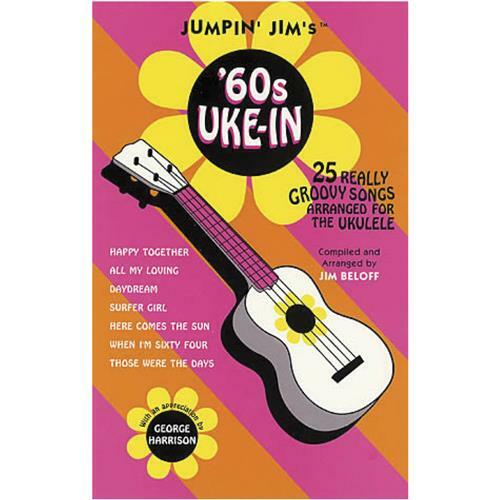 Jumpin' Jim's '60s Uke-In is a collection of 25 fab songs from the 1960s arranged for the very first time for ukulele. It includes lots of big Beatles hits (All My Loving * Eight Days a Week * Here Comes the Sun * Michelle * Penny Lane * Something * When I'm Sixty-Four * Yellow Submarine * & more) as well as other classic '60s tunes, such as: Daydream Believer * Georgy Girl * Happy Together * Moon River * Those Were the Days * and more. Features an appreciation by George Harrison, a foreword by Jumpin' Jim, a chord chart, and a groovy, psychedelic cover.